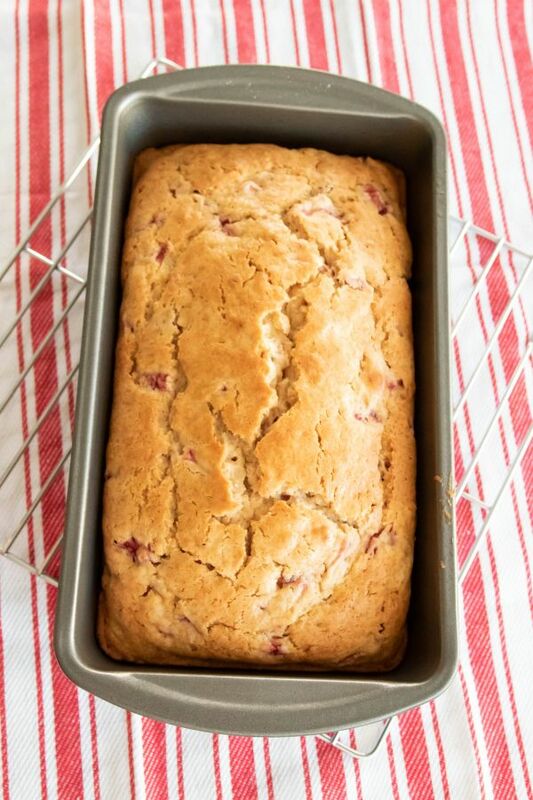 When strawberries are in season, try this quick strawberry bread recipe with a melt in your mouth glaze for the top. If you are looking for a sweet and really yummy bread recipe to use with fresh strawberries, this is the one. It is so moist and good. I found the secret is to not go over 2 cups of strawberries in this recipe or it will fall apart. 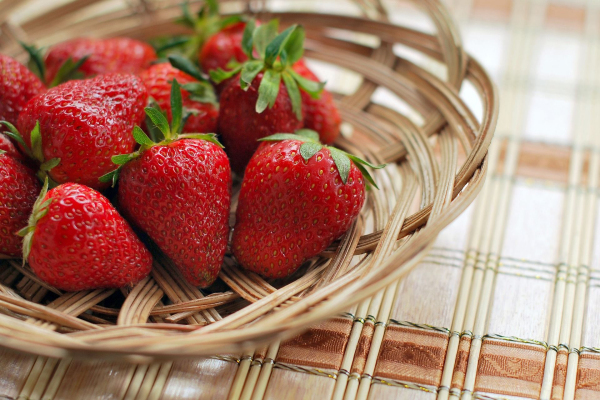 Strawberries have too much moisture which can cause a bread recipe to go mushy. 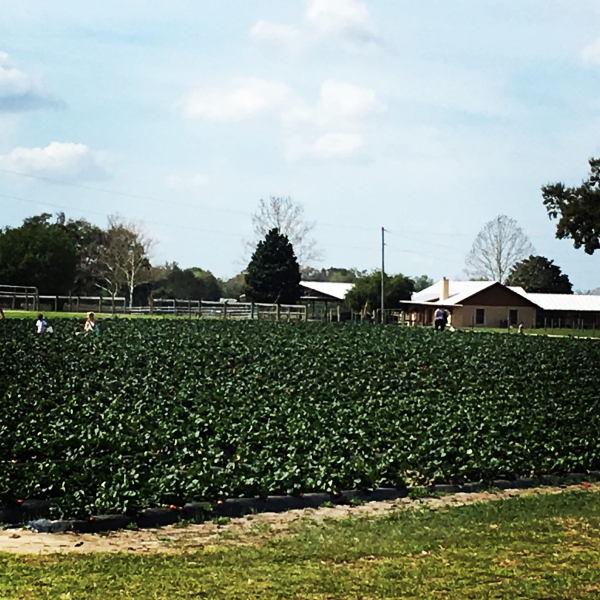 Strawberry season in Central Florida will run for a few months and I am fortunate enough to have several Pick Your Own farms in my area. This one patch was full of huge strawberries this year. Very clean and easy to walk down the isles. I loved hearing all the children having a good time picking strawberries and maybe eating a few as they went. I’m guilty of that too! It took me less than 15 minutes to fill up my bucket. I will wash, use my handy dandy stem remover, place on a sheet pan covered with paper towels and let dry before storing in freezer bags. Using a stem remover to keep from cutting off too much good strawberry is a must. I hate to waste any of that sweet strawberry. Of course, I kept a bag full for the bread and whatever I enjoy strawberries on. As with any bread mixture, don’t over mix it. Mix your wet ingredients first and then add the dry ingredients. I actually stir in the strawberries with the dry mixture so they will get coated and not sink to the bottom of the bread before mixing with the wet ingredients. Stir all ingredients just to combine. Depending on your stove, start watching it at 50 minutes. Check the bread with a dry toothpick to see if it comes out clean. If not, cook for another 5 minutes longer until done. I also use metal loaf pans and that makes a difference in cooking time. This bread can be eaten with or without the glaze. When making the glaze, depending on how juicy your strawberries will be, you may not have to add any other liquid to make the glaze thinner. In a medium bowl, stir together the sugar, milk, oil, egg, and vanilla. In a separate bowl, combine the flour, baking powder, and salt. Mix in the strawberries with the dry ingredients and stir to coat them. Add the dry ingredients to the wet ingredients and stir until just combined. Don't over mix. Pour the bread batter into a greased 9"x5" bread pan. Bake at 350 degrees for 50-55 minutes. Start watching at 50 minutes and use a toothpick inserted in the center of the bread which should come out clean. If it doesn't, cook for 5 more minutes. Allow the bread to cool for 10 minutes, then remove the bread to a wire rack to cool completely. To make the glaze, combine the powdered sugar, melted butter, diced strawberries and extract in a small bowl. Mix until it is smooth. If the glaze is too thick, add a bit of milk. Now, this sounds interesting, I would never have thought of using strawberries to make bread! I bet it adds a different type of flavour to it though. I think I have made every kind of bread except strawberry. I need to change that! This looks so good. Don’t think I have had enjoyed strawberry bread. Sweet and delicious looking. Going to have to try this when our strawberries ripen. This bread looks delicious and perfect for spring. I want to make some and eat it all without sharing, is that bad? THat sounds like a really delicious dessert recipe. We all love strawberries and strawberry cake always goes down well in our house. Yes please. I just love strawberries. This bread looks incredible. I need to make it with my daughter for sure. Wow I’m totally intrigued. 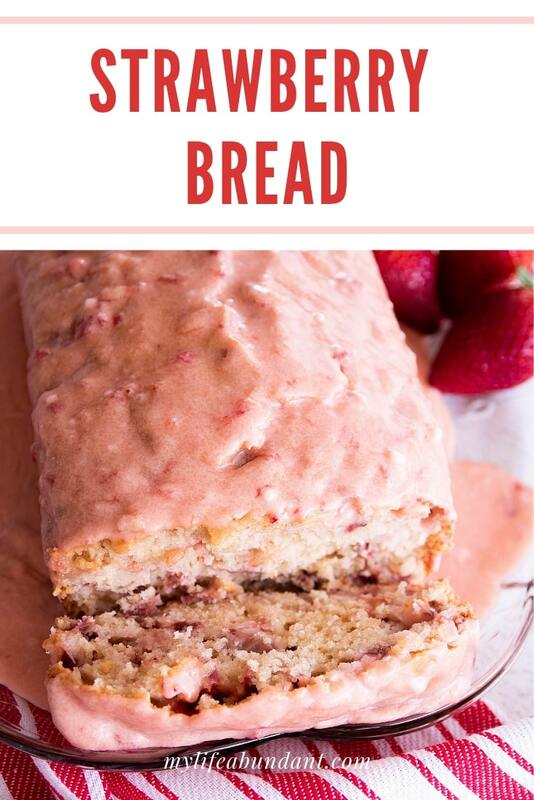 I never heard of strawberry bread but this sounds so yummy. I would totally make this for breakfast! I’ve never had strawberry bread before. This looks amazing. I can’t wait to meet this recipe. I don’t think I’ve ever heard of Strawberry bread before. I can’t imagine it wouldn’t be awesome though. This is new to me, but looks delicious! When I used to visit my dad in Florida, it was such a treat to be there during strawberry season. Oh gosh! I love strawberries and this bread looks yummy!! Perfect! My niece loves strawberry so much and they’ve been asking to me to bake a few weeks now. I will try this! I can only imagine how good this must have smelled when you take it out of the oven. It looks delicious! That looks amazing! I love fresh Strawberry! I am sure my daughter would love to make this cake! Never had strawberry bread before, but it sounds yummy! Strawberry is one of my favorite fruits, I really enjoy them as a snack, so I would think it makes this bread really tasty. I need to give this recipe a try! Oh my! This looks so amazing! I would love to try my hand at this! This looks scrumptious. Just reading over the ingredients, I am already salivating!! Love the combination of strawberries and cream and almond flavoring. Sounds like a bread the royals would eat at high tea. I was interested in your strawberry corer. I worked for Shoney’s restaurants for years and had to core so many flats of strawberries in those days for their famous strawberry pie. We used spoons or straws to speed up the process. This device would have come in so handy!! This bread is really moist. One of our faves.